Nagpur: Though it has entered in its fourth and final day of exhibition but Gramayan Seva Pradarshan is still drawing crowds at Mundle English Medium School, near Deekshabhoomi. 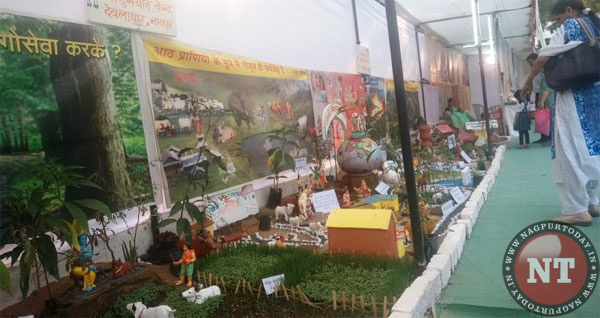 In a bid to promote various aspects of rural life also to provide a platform to projects which were started and are blooming in rural areas Gramayan Seva Pradarshan has organized this exhibition where around 125 stalls were put on display. The exhibition which started on Saturday has observed four panel discussions and interaction sessions on disability, woman empowerment, organic farming and student-teacher relationship on each day respectively, between Nov 17 and Nov 20. On Monday, along with Saksham organization, the organizing committee felicitated Thaku Chukane for his contribution towards visually disabled person. Chukane had contributed 1000 corneas and gave light of hope to many visually disabled. “Our aim is to increase the reach and contacts of rural artist by giving them exposure and providing them a platform of social interaction with the help of this exhibition. This initiative seeks to enhance the potential value of rural start-up and promotes the rural entrepreneurship,” said Anil Sambre, president, Gramayan Seva Pratishthan to Nagpur Today. “We as a community should assist rural people to promote their social aspects in the society rather than waiting for government’s assistance in it. With such initiative, we are providing the rural artists a passage to portray their artwork in front of urban people, to support their livelihood,” Sambre added. Sambre also expressed his joy on this occasion as the last year the numbers of stalls were 65, which got doubled this year with 125 stalls from people across Vidarbha along with people form Mandala and Chattisgarh participating in this initiative. Rashmi Thakre a volunteer from Govidnyan Anusandhan Kendra, Deolapar expressed the importance of cow throughout the life and discussed the medical aspects of cow along with edible options with Nagpur Today. 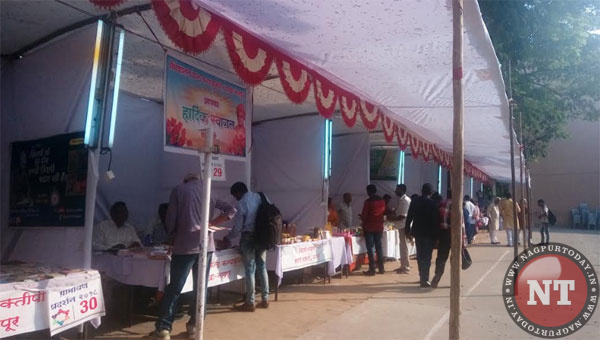 Along with stalls, selling various organically grown green products and their by-products and medical plants, NGOs creating awareness about rain water harvesting, bamboo houses and management of cow shelter were also seen on this occasion.